I never get tired of trying new things with my hair, which is why my hair has been super long, super short, and every length in between. It’s been medium-length for quite a while now, which has made it perfect for getting wavy, loose curls (find out how here). But I think I’m ready for a change … I think I’m ready to go short again. Why? Because short hair is amazing! You get to feel the breeze on your scalp, and you aren’t carrying around all that extra weight on your head. When you get out of the shower, your hair is dry in half an hour. It’s awesome! But what can you do to style short hair? That is where I always had a hard time before. I never felt like I had enough hair to do anything really cool—but I was wrong. I was looking back at this post for 40 easy hairstyles for short hair, and I decided to look on YouTube to see what else I could find. And guess what? I found a lot. The video above teaches you some really beautiful hairstyles which are perfect for short hair—and all of them are super fast and easy. Here are 7 more awesome hairstyles to totally glam up your short locks. Finally, this video focuses on general tips for maintaining and styling short hair, rather than just teaching you specific hairstyles. These tips will help you to style your hair beautifully no matter what you choose to do with it. 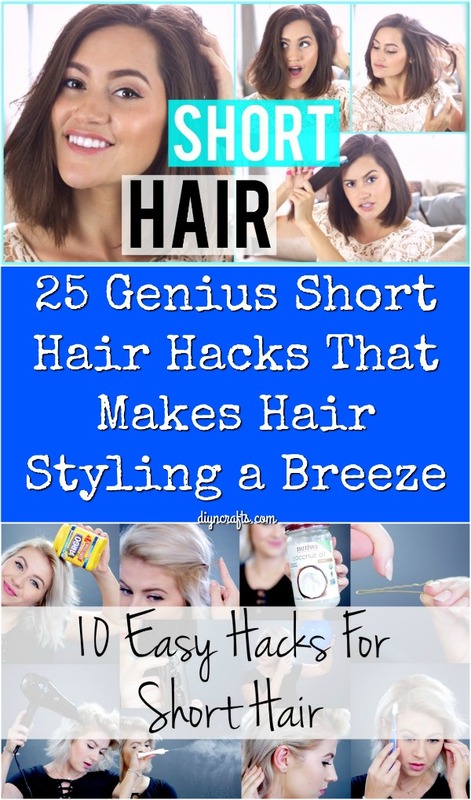 I hope you enjoy trying out these styling hacks for short hair as much as I will!